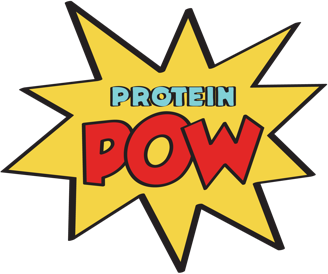 Before I say anything else, I’d like to alert you guys to the fact that the Protein Pow App is now officially updated with over 10 recipes per pack – a lot of them completely exclusive to the App. We’ve also added a ‘News’ button on the app where we will be uploading news on upcoming events, upcoming webinars, ebooks, fresh protein powder discount codes and coupons, and fun recipe ideas. If you don’t have the App, you can download it here. If you DO have the App, just go to the App Store and click ‘UPDATE’ so you get the newest version. With that said, let me move on to the ‘meat’ – or the ‘whey’ – of this post. It relates to the article I wrote for bodybuilding.com a couple of weeks back – this one. I like to hook you guys up to my articles here at Pow too for two reasons: 1. because it allows me to bring to your attention recipes you may have otherwise missed and 2. because I can post more photos and a background to the article, in that way giving you a further push – or shove – to try the recipes. It’s absolutely ridiculous and I hope you try it because it combines chocolate chunks with creaminess and more chocolate still, all while fitting your macros and delivering an intense shot of nommage straight into your soul. You seriously have to try this recipe. After the chocolate pots, I made some Protein Ice Cream. Verdict? Wohohohohoa! If you’ve never tried making your own protein ice cream, please do. You can use any flavor of whey protein you like to make it as well. Here are more protein ice cream recipes to get you inspired. I don’t think I need to write a lot to get you to try those two recipes because, well, they kind of speak for themselves. Who doesn’t love a good stack of protein pancakes, right? And Protein truffles are phenomenal because, besides being tasty, they’re supremely easy to make. They’re kind of like a protein bar in fact, only you roll the filling into a ‘ball’ as opposed to a rectangle and you dip it in chocolate. To see what I mean, check out the protein truffles that Marcus tweeted me today which he made from the protein bar recipe I wrote for Pretty Fit two days ago! You can do this with most of my protein bar recipes here at Protein Pow, including the ones in the Protein Pow App – just grab the filling of the protein bars and roll it into balls before dipping in chocolate. So… yeah! Take an hour or two this weekend, gather some of your protein powders (and if you need any suggestions, check out the ones I have up here), and have a wonderful weekend full of great lifts, time with loved ones, amazing food, and nommmmms!!!!! !